November 1, 2017, Townshend, VT – The Vermont State Police and the Windham County State’s Attorney have obtained an arrest warrant for Justin Orwat, age 46, of Springfield, Massachusetts for the offenses of Aggravated Murder and First Degree Arson. These charges are a result of an ongoing investigation into the previously reported house fire that occurred on Friday morning, October 27th in Townshend, VT. Orwat is currently being held at the Hamden County (MA) jail on unrelated criminal charges. On October 27, 2017 at approximately 9:34 AM a 911 call was made by a resident from Shirley Circle in Townshend, Vermont. The caller reported hearing an explosion and that the residence at 163 Shirley Circle was on fire. At approximately 9:42 AM another 911 call was made by a resident on Hazel Hill, Townshend VT. Hazel Hill is adjacent to Shirley Circle and the caller advised that 163 Shirley Circle was fully engulfed with fire. Fire Departments from Townshend, Grafton and Dummerston responded to these reports. Responding fire departments observed two vehicles in the driveway of 163 Shirley Circle. First responders contacted the Vermont State Police to advise that it could be possible there were people inside the burning residence. Members of the Vermont State Police Field Force, Arson Investigation Unit and Bureau of Criminal Investigation responded to the scene. Once the fire was extinguished, emergency personnel members located two unidentified deceased bodies in the burnt wreckage. The bodies were transported to the Office of the Chief Medical Examiner for post-mortem examination and identification. On Saturday morning, the Office of the Chief Medical Examiner contacted detectives to advise that preliminary examination revealed that both victims had sustained gunshots. This was not immediately apparent to investigators on Friday due to the condition of both victims from the fire. Detectives with the Vermont State Police Major Crime Unit and Bureau of Criminal Investigation Unit commenced a criminal investigation. Initial investigation to include interviews with suspected next of kin family members has led to the preliminary identification of the two victims; Steven Lovely, age 43, and Amanda Sanderson, age 35, both of 163 Shirley Circle, Townshend, Vermont. Confirmation of their identities is pending due to the condition of their remains as a result of the fire. The Office of the Chief Medical Examiner has ruled homicide as the manner of death for both victims. The cause of death for both victims was determined to be gunshot wounds. On Saturday, October 28th, Members of the Vermont State Police Crime Scene Search Team and Arson Investigation Units began processing the fire scene for evidence. This process has continued each day since and is ongoing. The State Police have been assisted by the Federal Bureau of Investigation (FBI) and the Vermont Fish and Wildlife with the scene processing. Over the past several days detectives have continued to investigate and in doing so, have interviewed associates and family members of both Lovely and Sanderson. Detectives determined that Tami Orwat, age 38 and Justin Orwat, age 46 both of Springfield, VT were both associates of Lovely and Sanderson and were believed to have recently spent time at the 163 Shirley Circle residence. Detectives discovered that on Friday night, 10/27/17, Justin Orwat was arrested by police in Springfield, MA on outstanding warrants and that he remains incarcerated in Massachusetts. Detectives located Tami Orwat and she told detectives that she and Justin Orwat were with Lovely and Sanderson during the night of Thursday, 10/26/17 into the early morning of Friday 10/27/17. Tami Orwat provided detectives with details of a dispute involving Justin Orwat and Steve Lovely at the 163 Shirley Circle residence that occurred Friday morning. Tami Orwat implicated Justin Orwat in the shooting of Lovely and Sanderson and in the intentional burning of the residence before they left together. Detectives are working closely with the Windham County State’s Attorney’s Office and the Office of the Chief Medical Examiner. This investigation is ongoing and scene processing continues at 163 Shirley Circle. The Vermont State Police has received substantial assistance from law enforcement in Massachusetts to include the Springfield Police Department and Mass. 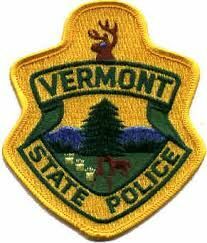 State Police in addition to several agencies in Vermont to include Bellows Falls Police Department, Vermont Division of Fire Safety, Vermont National Guard and ATF. On Tuesday, 10/31/17 an arrest warrant was obtained from Superior Court Judge Michael Kainen, for Justin Orwat on charges of Aggravated Murder and First Degree Arson. This warrant orders Orwat held without bail. Authorities in Massachusetts have been notified of the arrest warrant as Orwat remains incarcerated there. Arraignment date is to be determined. Anyone with information regarding this incident is asked to please contact the Vermont State Police Major Crime Unit. No other details are available at this time.